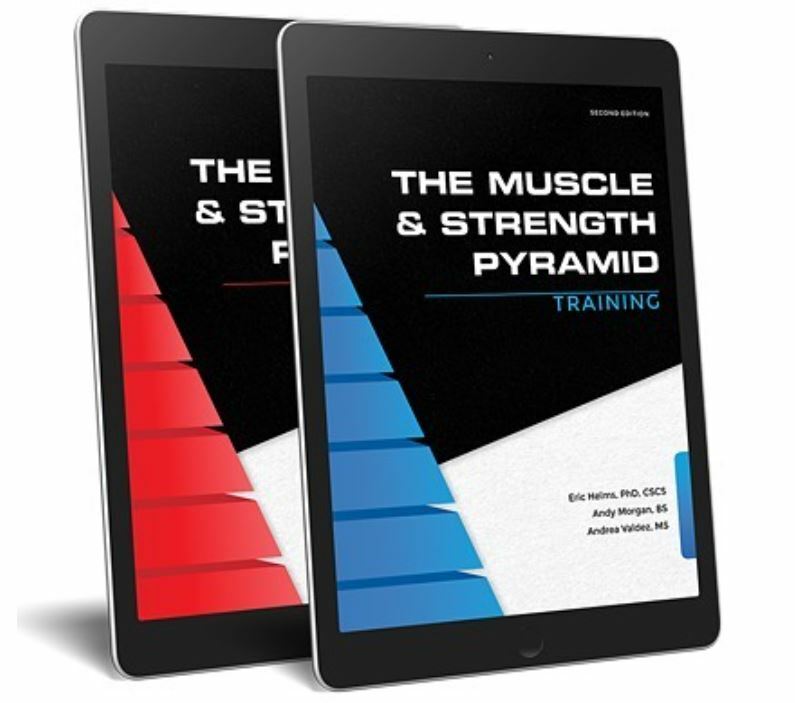 The Muscle and Strength Pyramids 2.0 Are Here! My friends Eric Helms, Andy Morgan, and Andrea Valdez have released the second coming of the Muscle and Strength Pyramids. These are amazing works....well referenced, up to date, and covering every aspect of training and nutrition for building muscle and strength. Also, having worked with the authors in the past, I can vouch for their scientific knowledge, credibility, and integrity. They also know how to get results with their clients. Click here to learn more about them, or read the description below by Eric. The second editions of our books the muscle and strength pyramids are now available for purchase! Truly, these books are my life’s work when it comes to the content they have. While I break down every concept in the most straightforward and basic way possible related to setting up nutrition and training for gaining muscle mass, or strength and when appropriate, dropping body fat, whether your goal is to get on the platform, the stage, or for your personal satisfaction…I also made sure I was up to date, as accurate as possible and covered as many relevant caveats as appropriate. Between the two books there are 459 unique scientific references. The new editions also have a lot of important new content. The training book had been updated with the latest meta analyses and now has an entire chapter dedicated to helping you connect the dots from each prior chapter to teach you step by step how to write programs. It also has six updated programs, novice, intermediate and advanced programs for the goal of bodybuilding and powerlifting, each. This not only provides you programs to use, but more importantly gives you examples of how to build programs yourself. The nutrition book now has entire chapters dedicated to measuring progress and making adjustments, how to transition back to the offseason after prep, peaking for the stage, making weight while maintaining performance, and how to attend to your nutrition with more qualitative vs quantitative tools. These are truly my life work and @andy_rippedbody @andreavaldez and myself couldn’t be more proud of them. If you’re interested, the second editions are now available!